The cultural theme of zombies roaming the Earth has seen a major resurgence since the turn of the Millennium when the favorite topic of fifties flicks was dug up for use in video games and major motion pictures. So, it’s no wonder that one of rock’s long buried lost bands from the sixties picked up the pieces of their past to reform and walk back into the lives of their fans. What is surprising is how amazing The Zombies resurgence has taken the world by storm. 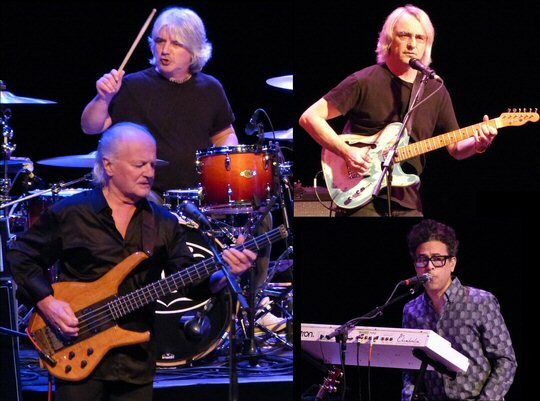 Followers in Music City got to witness first-hand what many critics are calling the musical comeback story of the ages as founders Colin Blunstone, Rod Argent and company brought their packed two-act show to the TPAC on April 09, 2017 in Nashville, Tennessee. The Zombies leave it all on the stage in Nashville. 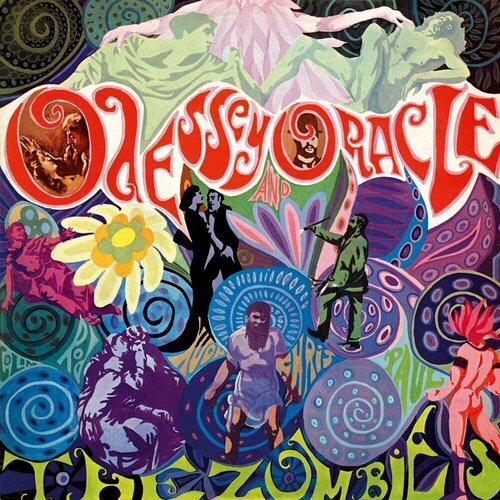 The Zombies are an English rock band, formed in 1962 in St Albans and led by Rod Argent (piano, organ and vocals) and Colin Blunstone (vocals). Acknowledged as members of the British Invasion they scored their first major hit in 1964 before prematurely pulling the plug just four years later. A chance unplanned reunion in 1999 led to the long-lasting reformation that audiences are enjoying today. Some fans decked out in sixties attire were observed in the crowd. One woman sporting a popular polyester dress from the era was enhancing her outfit with a clock-face handbag that was a perfect accessory to The Zombies biggest hit. Other adherents were seen with posters and vintage vinyl hoping for an autograph or two at the evening’s meet and greet. We also met one multigenerational family who jumped on The Zombies bandwagon thanks to their recent regular near the top billing on the Moody Blues Cruises. Rod Argent and Colin Blunstone are on the move and celebrating milestones. The first half of the Music City outing featured the always present “She’s Not There” and the catchy “Tell Her No” that were both big hits for the English music makers. Blunstone reported that Tom Petty helped breathe new life into a forgotten song of their own so they would repay him by playing a live version showcasing his arrangement of their “I Want You Back Again”. Fans in the audience showed their appreciation with enthusiastic cheers and several standing ovations but the loudest reception of the night went to a song that came out of The Zombies original demise. 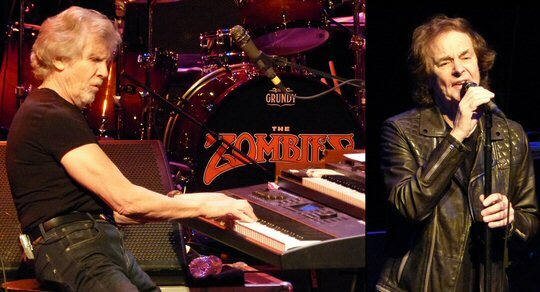 Keyboardist Rod Argent went on the form his own band called Argent and together with Zombie bandmate Chris White they wrote a powerful song that would be released on that group’s third album All Together Now in 1972. The anthemic track was long by radio standards of the day but that didn’t stop the 6 minute and 18 second epic number from receiving ample airplay throughout the years. Powered by Argent’s keyboard prowess and a study in guitar power chords the track was a staple in the musically rich 1970’s even if it was a misunderstood one in the process. Argent made a point of telling fans that the famous hook was actually, “Hold Your Head Up, Woman” thus making the number a nod to female empowerment. Fans rose to their feet as the extended jam wound down in Nashville. One thing the opening set made clear was that the darkly clad musicians were in fine form and not content to rest on their formidable past. They played several songs from their new record that showcased prominent harmonies and found frontman and singer Blunstone in very good voice all night long. Colin notably told a funny story about how the band was commissioned to record three songs for a movie that they also were going to appear in. However, their potential big break in Hollywood was limited to a disparaging cameo as most of their footage shot for Bunny Lake Is Missing was left on the cutting room floor. The second half of the concert saw the band celebrating the 50th Anniversary of Odessey and Oracle by playing the album in full with all the first set players accompanied by original members Chris White (bass/vocals) and Hugh Grundy (drums) rounded out with singer, instrumentalist, songwriter, and arranger Darian Sahanaja – who came to international attention as Brian Wilson’s musical director on the acclaimed Smile release and tour. Highlights from the psychedelic jaunt back through time were the sadly beautiful “A Rose for Emily” which reminded us thematically of “Eleanor Rigby”. The set concluded with the closer “Time Of The Season” before all the members of the expanded band had a time to shine on a reprise of “She’s Not There” which closed out the night on a feel good note. The Zombies were frighteningly good at Nashville’s TPAC in 2017. The book, published by BMG Books and Reel Art Press, contains handwritten lyrics for all the songs on Odessey And Oracle, as well as many of their other popular songs lavishly illustrated with rarely seen photos from throughout the band’s career. The book’s text includes anecdotes behind the songs and their recording, all from the original members, as well as reflections from Brian Wilson, Nate Ruess, Clive Davis, Carlos Santana, Susanna Hoffs, and many others. The Foreword was written by Tom Petty. 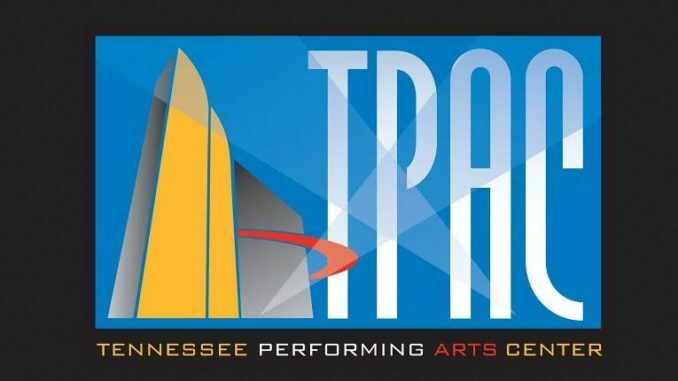 The TPAC is located in the James K. Polk Cultural Center at 505 Deaderick Street in downtown Nashville, occupying an entire city block between 5th and 6th Avenues and Deaderick and Union Streets. The venue has three distinct halls along with the free Tennessee State Museum. The TPAC will be hosting a whole season of events and Broadway productions with the next being Riverdance-The 20th Anniversary World Tour (April 21-April 23), Beautiful-The Carole King Musical (May 23-May 28) and for a more scary drama Alice Cooper on May 14, 2017.